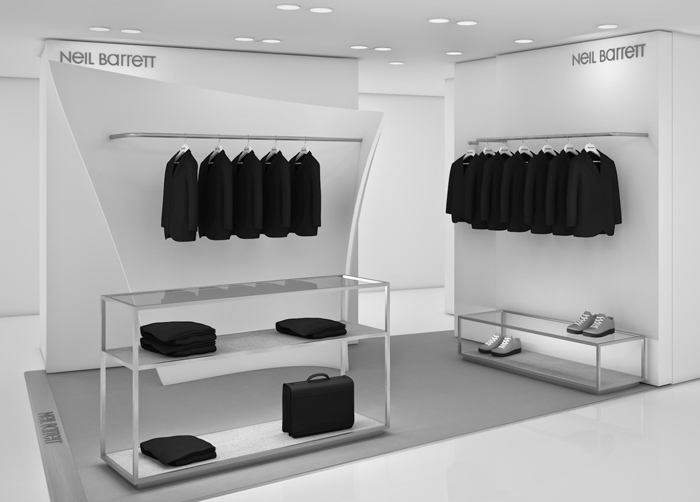 I couldn't believe when I started preparing this post that I hadn't really posted about Neil Barrett before. Over the last few seasons, the designer has developed such a distinct contemporary aesthetic that masterly plays with geometry, lines and block colours. With this in mind, it should't come as a surprise that Barrett chose to work with none other than queen of modern architecture Zaha Hadid to create his new retail spaces. His latest outpost by Hadid is the recently launched shop-in-shop at London's Harvey Nichols. Situated on the ground floor of the Knightsbridge building, the space reflects Hadid's architecture-meets-sculpture aesthetic, which ties in with the fluid lines of Neil Barrett's SS14 collection. If all of the above wasn't compelling enough to get you to check out Barrett's latest collection at his stunning new space, just take a look at the below. 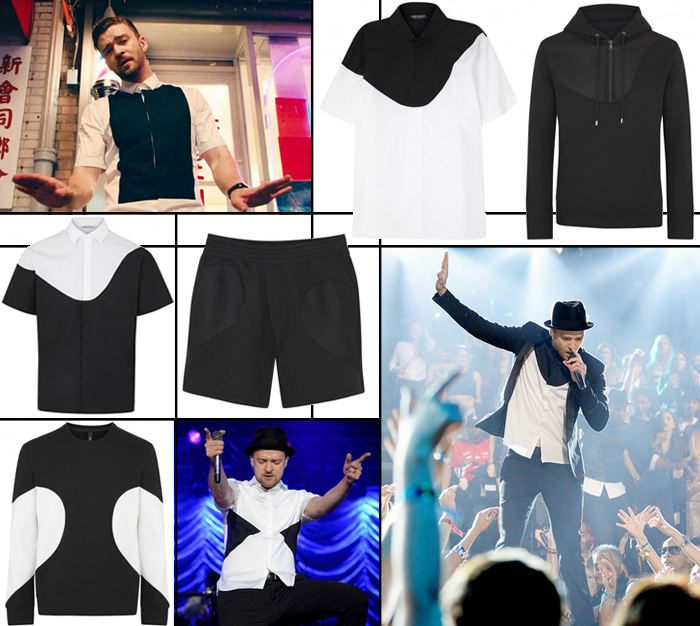 Always ahead of the curve, Justin Timberlake chose Neil Barrett as his go-to brand during last summer's leg of his tour showing how to allow the brand's pieces bring an edge to your classic every-day looks. 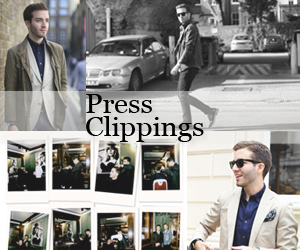 Shop Neil Barrett SS14 here.